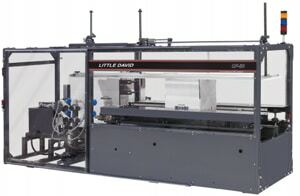 The CF-50T is part of the Little David line of high performance case formers developed by Loveshaw. 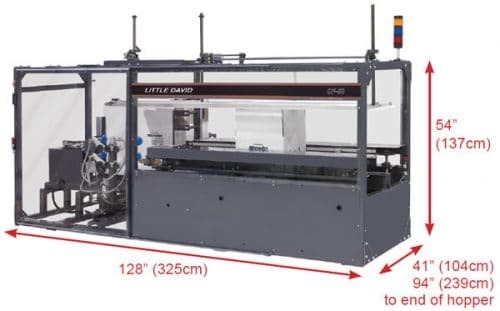 This innovative machine has been designed to automatically form, fold, and bottom seal RSC corrugated cases. The CF-50T easily folds a variety of corrugated cases – from double wall to recycled material, and can form up to 20 cases per minute.